Random Handprints - A NYC Mom Blog... live from New Jersey: Do you know there's a Nickelodeon for moms? Check out NickMom! It's #MotherFunny! Do you know there's a Nickelodeon for moms? Check out NickMom! It's #MotherFunny! Do you like to laugh? Of course you do, or you wouldn't be reading this - goodness knows you're not here for my crafting abilities or parenting advice. For some seriously funny stuff, check out NickMom. NickMom.com is a site from Nickelodeon that not only is full of laughs and hilarious insights into the life of a mom, but just like a magic eight-ball, it can tell you your personality just by what you drink. I will admit to being someone who picks her wine based on the label. In fact, I make a lot of my decisions for better or for worse on similarly superficial qualities. Like decorating our Halloween pumpkin with glitter - because hello, glitter always looks awesome -- without really thinking through what would happen if it rained. I found out what would happen is all the glitter would all wash off, and also that's why people usually carve their pumpkins. I've also been concerned with getting really good last day of school photos of my school-age kids, that I didn't notice their little brother wasn't even wearing pants. And then because everyone else makes taking a family portrait at the beach look easy, I thought I'd like to get a nice photo of my family, too. Because I care about appearances (there's that superficial thing again), I asked -- possibly forced -- my son to change, but I think he got the last laugh. He's wearing the dress shirt as requested, but decided not to button it. And then he paired the shirt with his turtle pants because, and I quote, "they're really the best thing I own." Indeed. Now where's that bottle of wine, you know the one with the gold unicorn on it? And don't forget the NickMom.com website isn't the only place you can go for#MotherFunny humor - there's always lots of laughs on the NickMom Facebook page and Twitter feed, too! Love NickMom, especially their lists. They really are SO FUNNY! The NickMom stuff I've seen is pretty funny but they turned me off with the whole stealing blogger's content thing and then I was invited to a NickMom night out comedy show and when I got there (after promoting on my blog), the line was a mile long and I didn't get in. Proof that good ideas are nothing without good people to execute them. 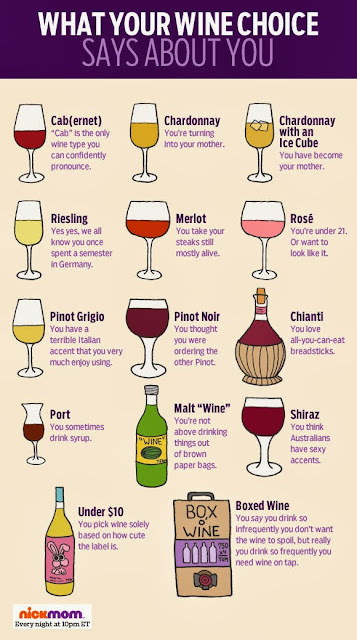 I totally judge my wine by the bottle. I DIED laughing at the picture of your kiddos on their way to school with your youngest in undies only. TOTALLY reminded me of my 2 year old son. That kid is always freaking nekkid and he's constantly photo bombing my Instagram photos with his private parts. 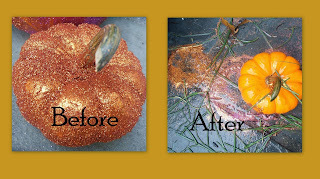 And the glitter pumpkin? OMG - HILARIOUS! Sorry, not sorry. I laughed out loud. The glitter getting washed off the pumpkin made me LOL. Thus, why I do not do crafts. Clearly, I'm a NickMom fan. Especially that wine piece up there. Ahem . . .
That photo is the best. And I love NickMom for so many reasons. 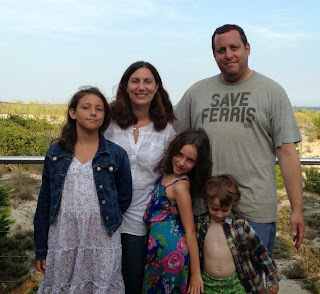 Please tell me that Save Ferris shirt is a Ferris Bueller reference. Because that is awesome.